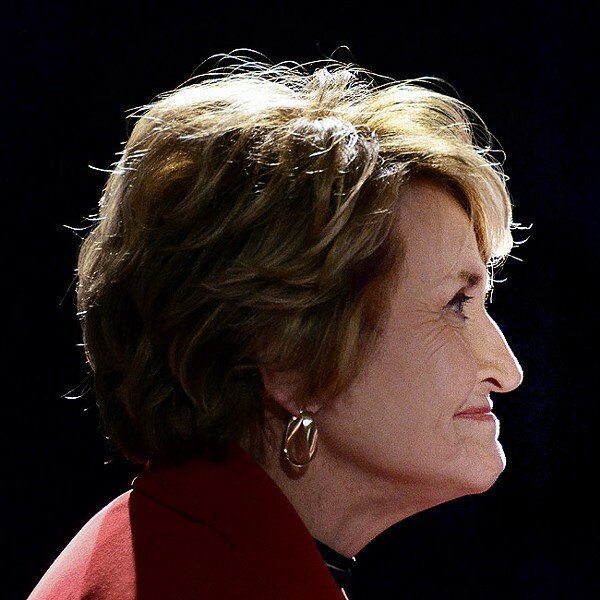 Louise Slaughter had been a presence in the community and a force in local Democratic politics since she first took her seat in the Monroe County Legislature in 1976. And during her service in the State Assembly and then in Congress, she helped get funding for a long, broad list of local projects and institutions. But I don't think many of us fully appreciated her national importance until, after her death on March 16, the stories began appearing in national media. Not short little "Dead at age 88, New York Representative Louise Slaughter," but full-blown stories listing her numerous, nationally significant accomplishments. And two planeloads of members of Congress flew to Rochester for her funeral on Friday. And former President Bill Clinton came. And House Speaker Nancy Pelosi and former Secretary of State Hillary Clinton spoke. And Civil Rights icon John Lewis fought back tears as he gave his tribute, saying he loved Louise and calling her "Sister." Louise's career would be impressive compared to anybody's, and she's not the only native of the coal-mining region of Eastern Kentucky who became a success. But what a success. This was a blacksmith's daughter who remembered, as daughter Amy said at the funeral service, when the Tennessee Valley Authority strung the first wires and brought electricity to the family home. And she went on to become a microbiologist and a feisty, determined powerhouse in Congress. "She used that power," the liberal publication The Nation said in its tribute, "to advance some of the most significant legislation of the 20th and 21st centuries during a career that saw her serve with six presidents and influence the direction of Congresses that were led by both Democrats and Republicans." Breast cancer research, the Violence Against Women Act, the Affordable Care Act, the Lilly Ledbetter Fair Pay Act, Dodd-Frank, Medicaid and Medicare protections, the Genetic Nondiscrimination Act…. She fought for preservation of internet neutrality, for arts funding, for protection against widespread use of antibiotics, for protection of the Great Lakes, for better armor for US troops, for quality education, for high-speed rail and other transportation improvements, for an increase in funds for student loans, for an increase in the minimum wage. And she didn't simply vote for them, or sign onto bills as a co-sponsor. She was often a key force pushing them, especially during her four years as chair of the House Rules Committee. As one speaker after another talked about Louise's accomplishments during her funeral service, it was impossible not to set their remarks in the context of what's going on in Washington right now. "She always stood up for science, facts, reason, and evidence," said Hillary Clinton. "She believed rules and evidence" were essential for democracy, Clinton said. "Louise believed deep down in her heart that government could do good for people," said John Lewis. "She left us at a time when we need more leaders like her," said her longtime friend Fran Weisberg. It will be impossible to fill her shoes anytime soon, but we can try to make sure that her immediate successor, whoever that is, is true to her legacy. "She loved the world so much that she couldn't help but fight for it," said her grandson, Daniel Secatore. And, he said, we can honor her by doing the same. "We can remember that all that beauty in the world does not come without strings attached," he said. "We are responsible for fighting for it." Speaking of which: Children throughout the country have already taken up the challenge and are fighting against gun violence. Saturday's March for Our Lives, like the Wednesday Walk-out earlier this month, is a terrific start. So are the students' continued appearances in the media. It is, though, just a start. It took repeated protests, marches, candlelight vigils to put an end to the Vietnam War. The protests were successful, but not for a long time. Students should continue to be in the lead on this, and adults need to be not only applauding them but continuing to show up in the streets. And at the polls. As a student's sign at one of the marches on Saturday wryly put it, "Midterms are coming." Students are having to deal with this, of course, because we haven't protected them, and that's unconscionable. The morning of Louise's funeral, NPR's Story Corps featured a discussion between Tanai Bernard, a Houston mother, and her 10-year-old son, Dezmond Floyd, whose school had begun having active shooter drills. Dezmond described helping his teacher push her desk against the door. And then, Dezmond said, when the other students walked to the back of the classroom to wait, as instructed, "I decided to stand in front of the class, because I want to take the bullet and save my friends." "My life matters," he said, "but, it's kind of like, there's one person that can come home to the family, or there can be 22 people that can come home to a family." On Story Corps, his mother pressed him, explaining that she didn't want to lose him. "I get that you would want me to come home," Dezmond said, "but it's not really a choice that you can make. It's a choice that I have to make." That a 10-year-old child is having to have those thoughts is appalling. That we can do something about it and haven't… I can't think of the right word. Whenever the next March for Our Lives demonstration is, be there.